In which I spill some more thoughts about the Fate roleplaying system, in line with recent ones and still thinking about game mechanics as I write the War of Ashes RPG, but applicable to all Fate games. I’ve been saying that among the four types of actions used in Fate Core and in Fate Accelerated, “Create an Advantage” is the key one.1 I want to take a few minutes to think about the mechanical reasons for the necessity and effectiveness of what may appear once again as “just” a narrative issue. A very smart friend of mine who posts under the handle “theletteromega” has been writing on probability, statistics and game mechanics in roleplaying games for a few years now, discussing a variety of systems. If you like to understand how things work, I’d like to point you to his articles on variance and game design, variance in Spirit of the Century, combat in Fate 2.0, combat in The Dresden Files RPG and other Fate-derived systems, and the use of fate points to counter the difference in skill level. (1) Handling conflicts between characters with back-and-forth exchanges rather than a pass/fail roll (like Overcome actions in Fate Core and Fate Accelerated) makes them statistically more predictable overall. [Reference.] Since all types of conflicts, not just fights, use the same procedure in Fate, the disparity between combat and non-combat skill result variation which theletteromega pointed to in this post is essentially eliminated.2 In other words, a battle of wits, a political debate, a poetry slam, a rivalry between suitors for their love’s hand, or a chess match between grandmasters are exactly as much fun and excitement in a Fate game, when handled as a conflict, as a duel between samurai, a fist fight, or a gun battle. (2) If you use attack and defence skills that are each lower than your opponent’s by one level, say a Good (+3) attack and Good (+3) defence versus a Great (+4) attack and Great (+4) defence, without using any kind of equalizer such as fate points, help, stunts, or advantages created in play, your odds of winning a multi-round conflict are about 50,000 to 1. [Reference.] OK, to be fair, they may be a little changed since this article which used the damage system from Spirit of the Century, but the rules have really not changed that much. 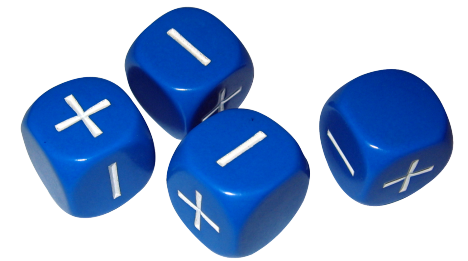 Using the Dresden Files RPG damage system, which is similar to Fate Core’s, we get something like a 2.6% chance of winning if you are trailing by one skill point, again based only on raw rolls and no aspects or fate points used. [Reference.] Better, but not good. So, notice what we have here? On the one hand, character competence is truly important. In a conflict, a one-point difference makes the outcome a foregone conclusion if all we rely on is base skill. This is the case of the Olympic athlete versus an average person off the street. So why is Fate such a “pulpy” game at the table? Why does it feel like you can and in fact are expected to take on superior opposition? It’s because, on the other hand, the game provides tools to overcome that difference. The articles linked above all predate the recent release of Fate Core and Fate Accelerated, although the essence is still true. Let’s look in a little more detail at how much “bang” you can get for your “buck”, or rather for one fate point or one action, in the updated system. You can spend an action to add +1 to someone else’s roll by assisting them. You can use invoke an aspect and spend a fate point to re-roll a bad dice result, usually a -3 or -4. You can use an action to create an advantage, creating or discovering a temporary aspect that will give a +2 and one or two free invokes, depending on whether you have a normal success or succeed with style. Another tool you have for evening out differences in skill is of course the use of stunts; however, for a given pair of opponents in one conflict, the stunts are going to have a relatively consistent effect every time they match up. In contrast, you can build up your advantages after a defeat and return to have a completely different conflict, offering the kind of dramatic comeback that makes high-adventure stories. Given that the Create an Advantage action allows you to generate free uses of aspects that can be shared with your allies, and that these temporary aspects can also be invoked for a fate point even if you have no applicable character aspects, it’s easy to see how they dramatically (pun intended) alter the flow of story events. By Creating an Advantage, player creativity and team work can overcome what we know is, mathematically, a severe obstacle in a way that makes dramatically satisfying stories. As I described them in a previous post, aspects are discrete pieces of game fiction which are there to be used and reused in the story by the GM and the players. This includes character aspects, scene aspects, temporary aspects, boosts and consequences. Using the Create and Advantage action allows characters to create tactical opportunities, to even out differences in raw skill, and to inject drama and excitement in the story at the same time. In the end, I’d like to return to a previous conclusion: although aspects are narrative units, it would be a mistake to think of them purely abstractly as die modifiers. They represent very real choices by the characters, and they shape the story—as they should. Posted on October 10, 2013 October 10, 2013 by mechanteanemonePosted in games, rpgsTagged design, Dresden Files, FATE, Fate Accelerated, Fate Core, games, rpgs, Spirit of the Century, system, WarOfAshes, writing. A very interesting post, I’m going to follow this guy and maybe post some of my own thoughts on game mastering and game mechanics. Might even do some Tableau stuff on game mechanics.